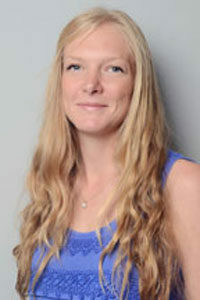 Having gained a distinction in her Masters degree of Environmental Planning at Queen’s University, Belfast, Helen went on to work for a Local Authority in Somerset gaining experience in development management, strategic policy making and conservation. Building on this experience, Helen then moved to the private sector, joining a competitor and further expanded her working knowledge of planning. There she worked across the South West on a wide range of projects; strategic planning and promotional work for land owning clients, planning appraisals and feasibility studies, and smaller scale projects offering more focussed and detailed solutions including planning applications, listed building consents and Certificates of Lawful Existing Use or Development (CLUEDs). Now operating under Tanner & Tilley Planning Consultants she aims to use this knowledge to good effect and help deliver successful outcomes for clients, fostering good relationships with those she works with to smooth the way through the planning process. In her spare time Helen likes nothing more than enjoying the great outdoors with friends and family, be it swimming, sailing, snowboarding or just walking Bruno her chocolate lab.